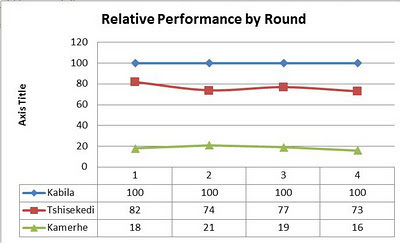 This chart shows how the two main challengers did relative to Kabila for each round of reporting. 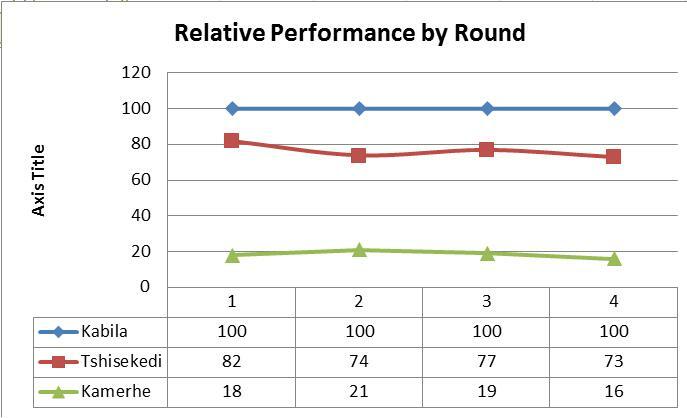 You can see that Tshisekedi's numbers went down in round two, back up in round three, and stayed roughly even in the final round. Kamerhe's numbers swelled through the first three rounds, and then diminished a bit in the final.